Charles “Jerry” Juroe, a veteran movie publicist, met many famous and interesting people over a long career. But that doesn’t mean the telling of those interactions is interesting. 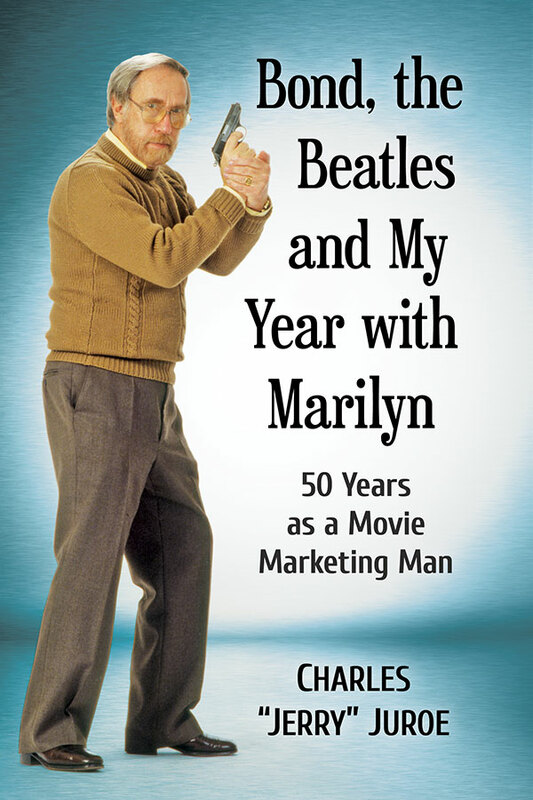 That’s the problem with his book, Bond, the Beatles and My Year With Marilyn. Many names get dropped. Observations are made. And we’re off to the next anecdote. It’s like an extended party conversation rather than a narrative. That’s supposed to be the selling point for the book. That’s why he’s holding a gun on the cover. The Beatles get a quick mention in a chapter about United Artists. Marilyn Monroe is the subject of a pre-UA chapter when Juroe did publicity for 1957’s The Prince and the Showgirl. There’s more, of course. But there’s not a lot of depth. Of all the anecdotes in the book, one of the most attention grabbing took place years before Juroe’s involvement with Bond. It was a revealing moment. But it’s over in a few sentences. We’re off to another Oscar-night anecdote. For 007 completists, who can’t get enough books about 007 films, the book may be worth the time. Others may or may not find the book worth their while.